Own a Volkswagen? 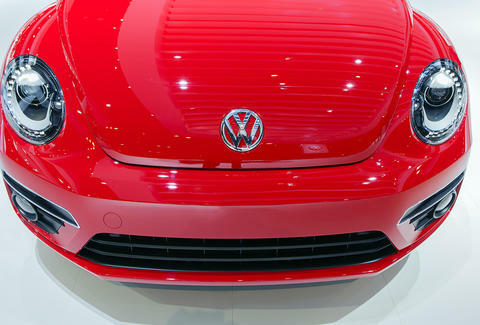 VW Could Owe You at Least $5,100. Volkswagen, the car company famous for making kids hit each other (OK, and other stuff, too), is about to take a helluva hit itself after agreeing to a massive settlement in cases involving its widespread emissions cheating scandal. Under the record-breaking approximately $15 billion settlement, the German automaker will reportedly pay US drivers more than $10 billion to remove the offending diesel vehicles from the roads and billions more in fines to state and federal regulators, according to a report by Bloomberg. You can also check your eligibility with your car's VIN number. Under the settlement terms, Volkswagen will pay owners of the above vehicles at least $5,100 and as much as $10,000 (depending on age and mileage) in cash to compensate them for the lost value of their cars. Even owners who sold their cars after the emissions cheating was exposed can claim the compensation, with half of the cash going to the original owner and half going to the current owner, according to a report by Fortune. Basically, owning a Volkswagen has never been so cool. If you were leasing one of the offending cars as of September 18, 2015 (when Volkswagen admitted to the emissions rigging), you might be eligible to make a claim, too. In addition to the cash payouts, people who bought one of the cars prior to September 18, 2015 can opt for Volkswagen to buy the cars back at pre-scandal trade-in values -- from $12,475 for a 2009 VW Jetta to $44,176 for a 2015 Audi A3 TDI Prestige, according to the Bloomberg report. So if you own the aforementioned Jetta and take both the cash compensation and the buyback option, there's a chance you'll get at least $17,575. You just have to decide by May of 2018. The buyback option, though, is not mandatory. Instead, you can wait for Volkswagen to come up with a fix for the emissions issue that satisfies environmental requirements (it has yet to do so and a fix could reduce engine performance) or you can keep driving your car as it is and simply not participate in the settlement at all. You just won't get any cash with the latter option and will have to live with yourself for further polluting the environment. Need more information? Head over to the settlement website. Tony Merevick is Cities News Editor at Thrillist and, thankfully, does not own a car. Send news tips to news@thrillist.com and follow him on Twitter @tonymerevick.